Imagine you’re a Bond villain – slick-back hairstyle, metal in your grin, a gun in your holster. 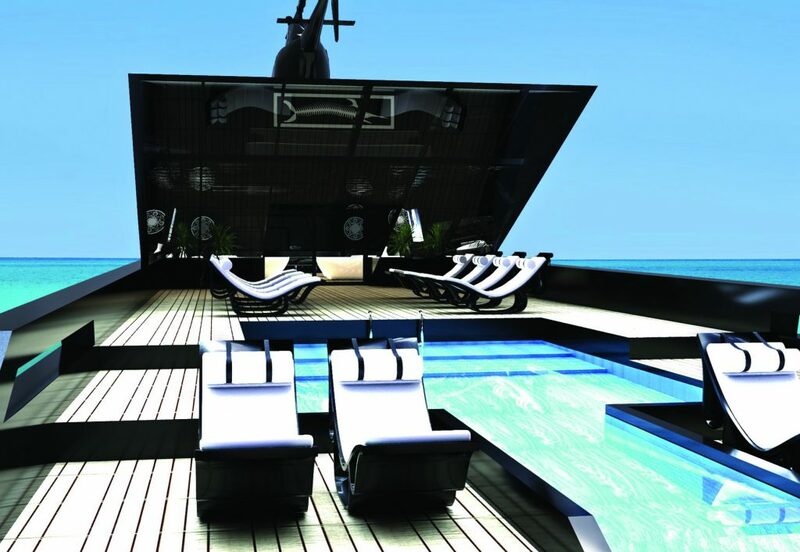 You’re standing at the helm of your villain-style get-away superyacht. Your fingers thrum together as you concoct another diabolical plan to take over the world. 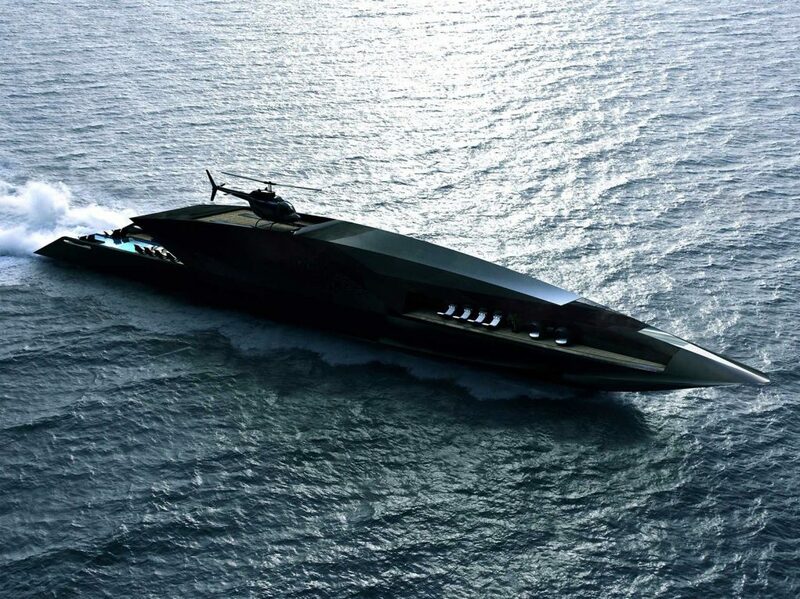 Imagine what your superyacht will look like – raven black with a slick look that will make Bond tremble in his boots? The Black Swan is very much the style you would be looking for. It stretches 70 metres from back to front, and is clad with menacingly stylish features. This concept yacht was designed by award-winning Turkish designer, Timur Bozca, who was inspired by the shape of an arrow. Sharp! 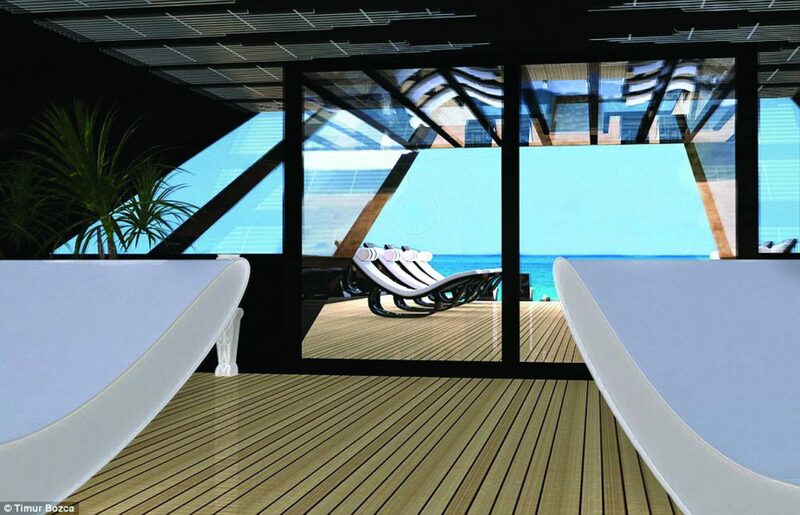 This concept superyacht is to be created with aluminium and carbon-fibre and will feature two front-facing balconies, a swimming pool and a helipad. 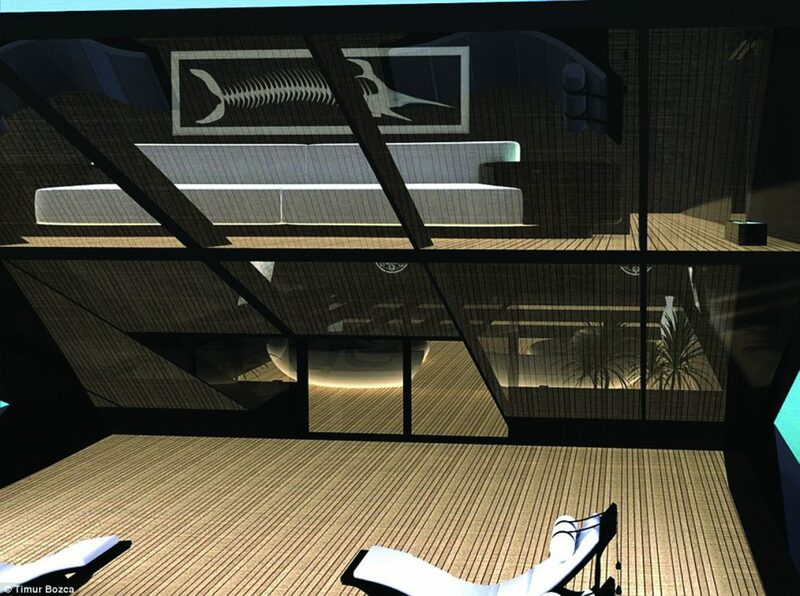 Separate spaces reinforce the space provided in the boat which can be accessed by an interior lift. A master suite and guest bedrooms can also be accessed via the elevator. Black Swan will feature four engines that will generate some serious speed. 23,172hp, to be exact. That’s equivalent to approximately 32 km/h! How deliciously evil and ideal for a quick getaway.